My team and I look forward to welcoming you to the oldest city in the Netherlands. Thanks to the hotel's location, the historic city center is just 5 minutes' walk away. All our rooms are equipped with air conditioning and free WIFI. The hotel is located right next to the central train station. All 112 rooms have air conditioning, a safe, a minibar, a shower and free WIFI. Because of its modern facilities and unique location, the hotel is the ideal place for flexible working or meetings. The contemporary restaurant and trendy bar provide delicious food and a range of drinks for you to enjoy, including a unique selection of special wines and local beers. 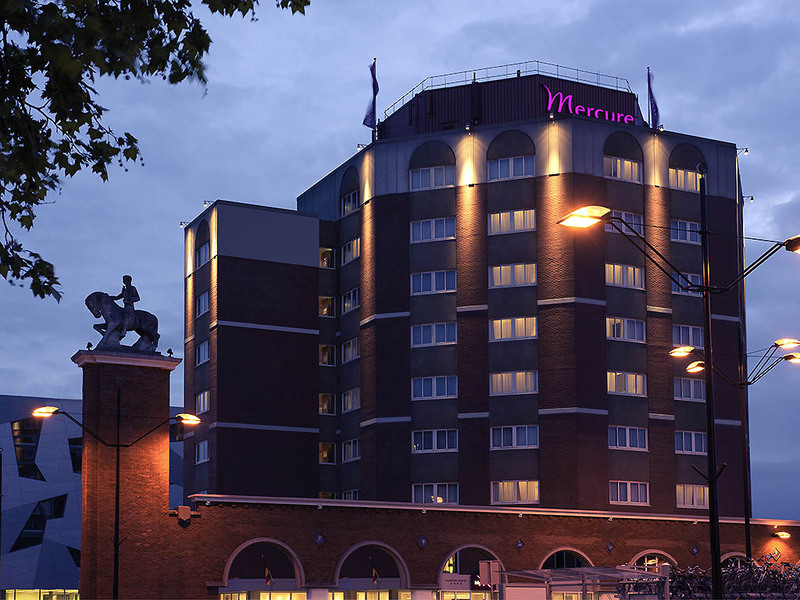 Thanks to its unique location next to the main train station and a few minutes from the A15, A50 and A73, the hotel is easily accessible by both car and public transport. You can walk to the center within 5 minutes. A private paid car park is available. Choose the room type that suits your needs. Our 112 luxury hotel rooms have recently been upgraded and fitted with beautiful bathrooms with walk-in showers. Or get a Privilege room with extra facilities! Whether you want a savory snack, a sweet treat or a full meal, you can get it all in our restaurant. We are happy to cater to your dietary needs and preferences. In the evenings, join us in our trendy bar, where we'll serve you your favorite drink. You can also enjoy a glass of fine wine or local beer from our "Flavors from the Cellar" selection.